Fikes began in the Northwest in the late 90's with a modest storage unit, a single van and a growing list of clients with a mission statement to help businesses all over the region who saw the importance of enhancing their image, saving their time and reducing costs in their facilities. Those first customers turned into many thousands all across the Northwest. Fikes is still locally owned by the original founder although we've moved out of that storage unit and now have warehouses throughout the region. We have an unrelenting focus on top quality people first who are able to provide those quality services such as odor control, sanitation, pest control and an array of products businesses use every day. Our focus on the core fundamentals of great people hasn't changed since day 1. Fikes has an esteemed annual award named after one of it's very first employees who's still with the company today and who continually leads by example exemplifying all of Fikes Core Values. 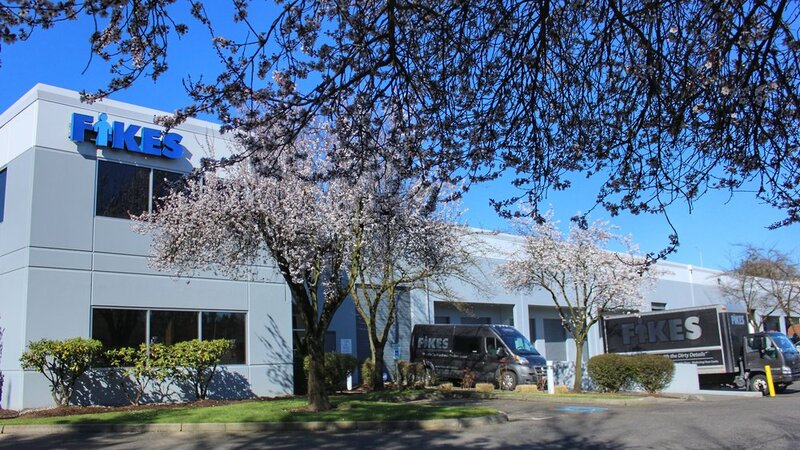 Today team members all over the Pacific Northwest depend upon their careers at Fikes to support their families. We would all like to thank the thousands of fantastic clients for your support as it is your loyalty and consistent participation that makes that possible.